Roger Moore as James Bond in Moonraker (1979). Condition: tape to corners top and side centre points, minor tear to top right corner but no paper loss. 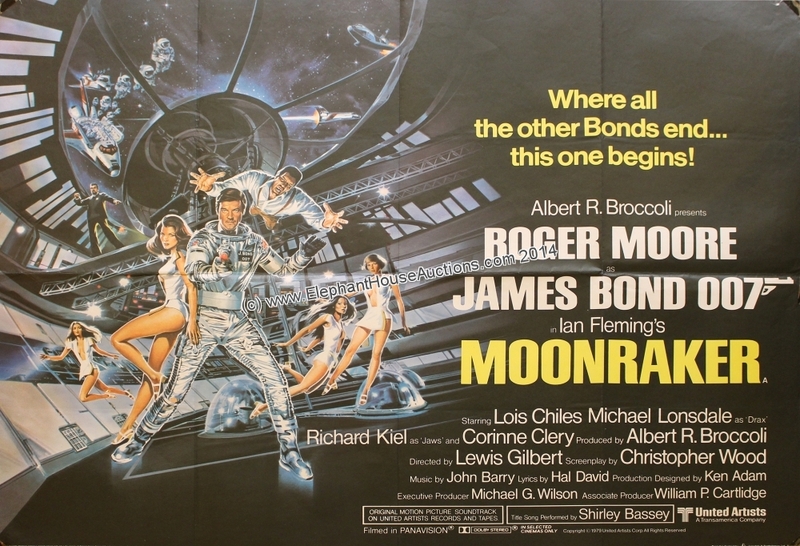 "Moonraker" written on back in red marker pen which shows minor bleed to front just above the head of the right-hand bond girl.